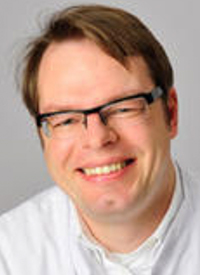 “This exploratory analysis was performed to determine the true effect of durvalumab, and the results suggest that the high rate of subsequent immunotherapy received by patients in the chemotherapy arm confounded the primary OS outcome,” said lead study author Niels Reinmuth, MD, leader of the Thoracic Oncology Department, of the Asklepios Lung Clinic in Munich-Gauting, Germany, in a presentation during the conference. “A clinically meaningful improvement in overall survival was seen with durvalumab compared to chemotherapy; however, the overall survival findings did not reach statistical significance,” commented Niels Reinmuth MD, of the Asklepios Lung Clinic in Munich-Gauting, Germany, in a presentation during the conference. In the phase III, randomized, open-label, MYSTIC trial (NCT02453282), researchers enrolled immunotherapy-/chemotherapy-naïve patients with metastatic NSCLC and ≥25% PD-L1 expression who were randomized 1:1:1 to receive durvalumab monotherapy at 20 mg/kg (n = 163); or durvalumab at 20 mg/kg plus tremelimumab at 1 mg/kg (n = 163), each given every 4 weeks for 4 cycles; or to up to 6 cycles of platinum-based chemotherapy (n = 162). In-study crossover from chemotherapy to a durvalumab arm was not allowed, but treatment was permitted at disease progression. Reinmuth and colleagues explored whether subsequent immunotherapy received primarily by patients in the chemotherapy arm may have confounded the OS results and masked the true efficacy of durvalumab. The investigators confined this exploratory analysis to data comparing durvalumab monotherapy to chemotherapy and used 3 statistical models to assess the effect on OS of immunotherapy received post-study: the rank preserving structural failure time (RPSFT) method, the inverse probability of censoring weighting (IPCW) method, and a 2-stage method. The 2-stage method was found to be most the appropriate method since it was designed to specifically measure survival with durvalumab and chemotherapy after substituting for the effect of subsequent immunotherapy. Using this method, it was demonstrated that durvalumab significantly improved OS compared with chemotherapy. Median OS was 16.2 months (95% CI, 11.9-20.5) with durvalumab versus 11.5 months (95% CI, 9.5-13.1) with chemotherapy (HR, 0.66; 97.5% CI, 0.49-0.90; P = .002). This is in comparison with the primary analysis, which had demonstrated OS of 16.3 months (95% CI, 12.2-20.8) and 12.9 months (95% CI, 10.5-15.0) with durvalumab and chemotherapy, respectively (HR, 0.76; 97.54% CI, 0.56-1.02; P = .036). Post-study immunotherapy was administered to more patients receiving chemotherapy than durvalumab, and more patients in the chemotherapy arm also received treatment other than the study drug. As of October 4, 2018, subsequent treatment had been administered to 73 (44.8%) patients in the durvalumab arm compared with 95 (58.6%) patients in the chemotherapy arm, within 2 months of discontinuing treatment. Twenty-five (15.3 %) patients on durvalumab compared with 1 (0.6%) patient on chemotherapy remained on treatment after end of study. “A markedly higher proportion of patients on chemotherapy received subsequent immunotherapy for disease progression than in the durvalumab arm,” commented Reinmuth. Of the patients who received subsequent treatment other than durvalumab, post-study cytotoxic chemotherapy was administered to 70 (96%) and 58 (61%) patients in the durvalumab and chemotherapy cohorts, respectively, and 18 (25%) patients and 18 (19%) patients received other systemic treatments, respectively. Immunotherapy was given to 10 (14%) patients in the durvalumab arm and 64 (67%) patients in the chemotherapy arm. The most commonly administered immunotherapies were nivolumab (Opdivo) and pembrolizumab (Keytruda), which were delivered to 1.8% and 2.5% of former durvalumab patients and to 30.9% and 6.8% of patients who were previously on the chemotherapy arm. Other treatments included atezolizumab (Tecentriq), and durvalumab or tremelimumab (chemotherapy arm only), among other immunotherapy, chemotherapy, or systemic therapies. Second-line immunotherapy was administered to 2 patients on durvalumab compared with 52 of those on chemotherapy. Immunotherapy was delivered as a third-line therapy to 6 and 8, and as fourth-line treatment to 2 and 4 of patients in the initial durvalumab versus chemotherapy arms, respectively. Reinmuth N, Cho B, Lee K, et al. Effect of post-study immunotherapy (IO) on overall survival (OS) outcome in patients with metastatic (m) NSCLC treated with first-line durvalumab (D) vs chemotherapy (CT) in the phase III MYSTIC study. Presented at: 2019 European Lung Cancer Congress; April 11 to 13, 2019; Geneva, Switzerland. Abstract LBA4. AstraZeneca Provides Update on the Phase III MYSTIC Trial of Imfinzi and Tremelimumab in Stage IV Non-Small Cell Lung Cancer. AstraZeneca. Published November 16, 2018. https://bit.ly/2OKbOnz. Accessed November 16, 2018.